The stars aligned and Peggy, Audra and I were all free for lunch on the same day and time, so we decided to try the newly opened, Zinburger on Ashford Dunwoody. I’ve been trying to work out and eat better, so it is moments like this that I have been preparing…and cue Kelly Clarkson. 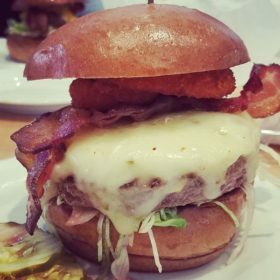 This was my first dining experience at Zinburger, so I was really excited by the menu. 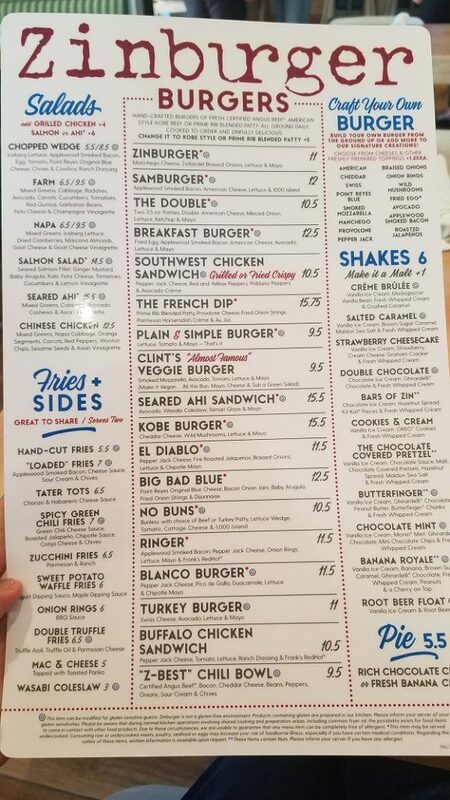 They offer flights of wine, but Peggy and I were joking that we’d really like a flight of all the different types of fried sides or shakes. 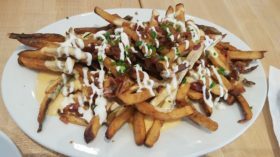 We started our meal with an order of loaded fries covered with cheese sauce, bacon, sour cream and chives because it’s impossible for Peggy and I to turn down loaded fries. The fries are crispy enough that if you didn’t move as quickly as Peggy and I, you would still get a crunchy fry with cheese sauce. Peggy ordered a Samburger with bacon, lettuce, cheese and 1000 island dressing cooked medium well and in addition to it tasting good, she made a point of mentioning that it was cooked perfectly. 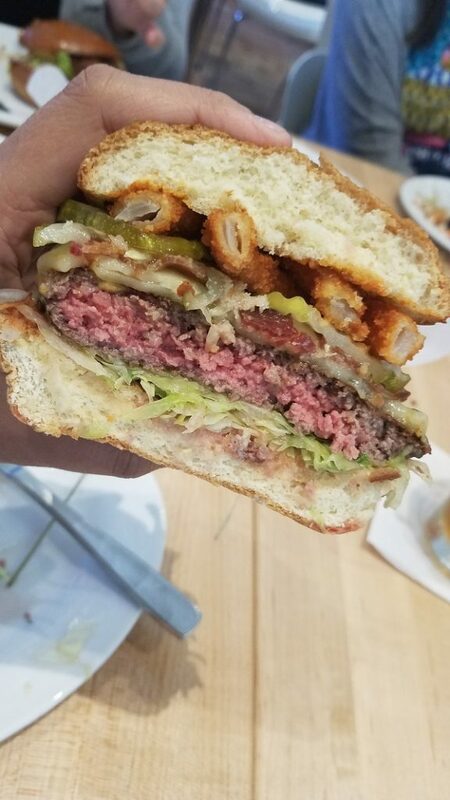 I ordered the Ringer, which is bacon, pepper jack cheese, lettuce, onion rings, mayo and Frank’s red hot sauce, cooked medium rare. Again, perfectly tempted and with that list of toppings, obviously delicious. We didn’t know how Audra would fair since she is gluten free and gluten free buns can be super hit or miss. 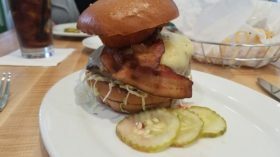 She ordered the Blanco burger with pepper jack cheese, pico de gallo, guacamole and chipotle mayo which was another hit. Zinburger seemed pretty gluten free friendly. 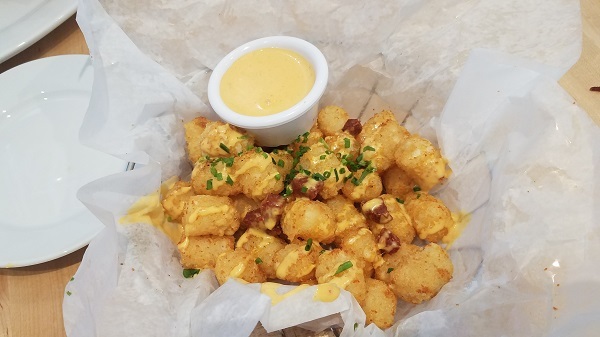 Peggy and I ordered tater tots which come with chorizo and habanero cheese sauce because we weren’t kidding about wanting a flight of fried sides. 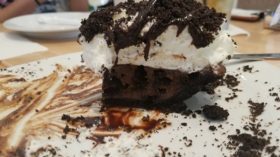 Calorically, we were so deep in, that we had no choice but to double down on desserts by ordering chocolate pie AND milkshakes. The chocolate pie was rich and fudgy, but I do wonder how the banana cream pie is. 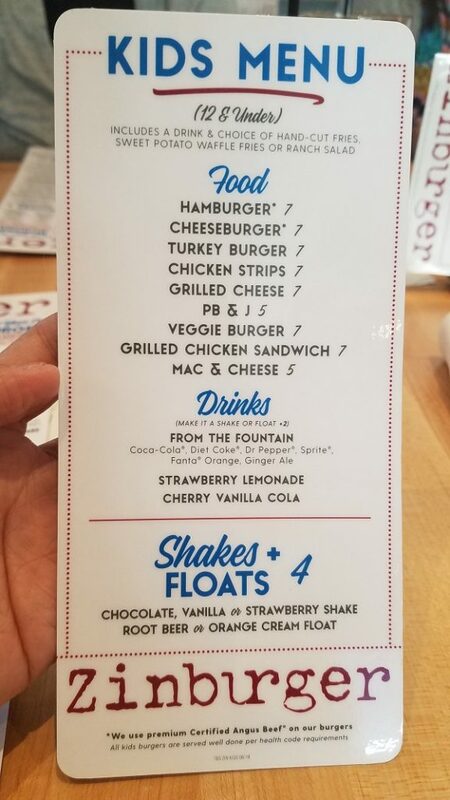 The chocolate covered pretzel and creme brulee milkshakes were fantastic but there was a long list of shakes and many more to try. Our lunch date at Zinburger was definitely a success. The restaurant itself is modern, clean and televisions are visible but not featured. Our server was attentive and knowledgeable. Despite our commitment to consuming as many calories as possible, Zinburger does offer healthier options like salads and turkey or veggie burgers. The burger of the month is actually a grilled veggie patty with portobello mushrooms and goat cheese. They offer a kids meal with all the heavy hitters like mac and cheese, burgers and chicken strips. 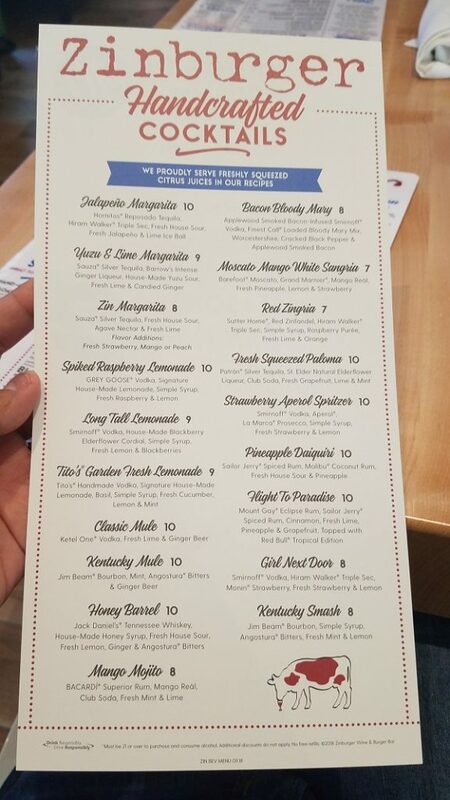 Zinburger also has an intriguing happy hour and they serve craft beer as well as half priced bottles of wine on Wednesdays. Take some time to try Zinburger and welcome them to the neighborhood.